Well, I guess itâ€™s time to say goodbye. You know, take leave, adieu, farewell, so long, auf Wiedersehen. Hermann: Now, you’ve got to listen to me! Do you have any idea what you’d have to look forward to if you stayed here? Nine chances out of ten, we’d both wind up in a concentration camp. Isn’t that true, Louie? Louie (the shady French cop working in Berlin): Iâ€™m afraid Mayor Wowereit would insist. Tempelhof airport: Youâ€™re saying this only to make me go. Hermann: I’m saying it because it’s true. Inside of us, we both know you belong with Victor, whoever that is. You’re part of his work, the thing that keeps him going. If that last Tempelhof plane leaves the ground and you’re not on it with him, you’ll regret it. Maybe not today. Maybe not tomorrow, but soon and for the rest of your life. 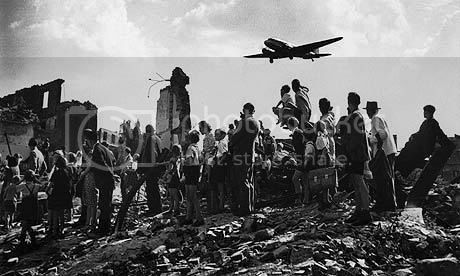 Tempelhof airport: But what about us? Hermann: Weâ€™ll always have Paris. We didnâ€™t have, we lost it until you came to Casablance, wherever that is. We got it back last night. Tempelhof airport: When I said I would never leave you. Hermann: And you never will. But I’ve got a job to do, too. Where I’m going, you can’t follow. What I’ve got to do, you can’t be any part of. Tempelhof, I’m no good at being noble, but it doesn’t take much to see that the problems of four million people and the Mother of all Airports don’t amount to a hill of beans in this crazy world. Someday you’ll understand that. Now, now… Here’s looking at you kid. No user commented in " Here’s Looking At You Kid "